The fleet of cars available at Exotic Limousines leaves those tired old stretch limos of the past in the dust. This premiere Las Vegas limo service brings you only the hottest and freshest vehicles so that you and your crew always arrive in top style. From Hummers to Excursions to Challengers, Exotic Limousines features the most luxurious models of limousines so that their clients never fade into the background. With rates that are competitive and service that slays the competition, this car rental is always a popular choice for the discriminating rider. 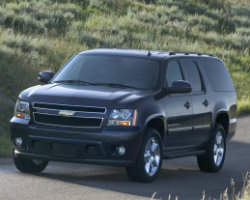 Omni Limousine is well-known as a safe and reliable limo rental in Las Vegas, NV. Their experienced chauffeurs understand the importance of being on-time, professional and friendly and they go above and beyond in order to maintain their vehicles to your highest standards. You can book your wedding limo or prom limo rental with any of their representatives over the phone or simply arrange for a Las Vegas airport taxi. They are always ready and willing to answer any related questions you might have. With Omni Limousine, your limousine rental in Las Vegas is sure to go smoothly and hassle-free. Whether you need a wedding limo or a Las Vegas airport taxi, let Earth Limos & Buses take care of all of your transportation needs while you're visiting Sin City. 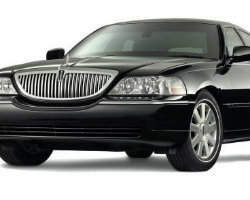 This complete car service is able to provide everything from a classic stretch limo to luxury party buses and everything in between at rates that are cheap. They also offer prom limo rental so that teens are safely transported on their big night out. With their affordable town car and limo services, Earth Limo & Buses can be your link to where you need to go in Las Vegas. 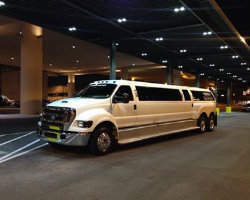 Offering unique and interesting area tours as well as other luxury transportation services, Five Star Limo is the top limo service in Las Vegas. They employ drivers who are comfortable with the city and fluent in multiple languages to provide you with the best experience possible. Their vehicles are meticulously maintained so that each and every client rides in absolute style. Their commitment to the satisfaction of their customers combined with their affordable limo rental prices has made Five Star Limo one of the highest-rated limo rentals in Las Vegas, NV. 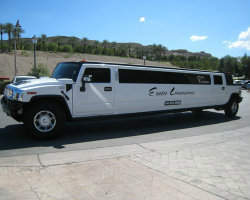 Vegas Limousine Service has been serving the Las Vegas Valley as a luxury car service for years. 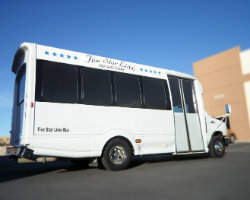 Their experience and expertise in the area of transportation is unmatched by their competitors and they pride themselves on providing the best vehicles and drivers of any other Las Vegas limo service. Their attention to detail and commitment to your satisfaction means that you will always receive the best service and the most well-maintained cars to get you where you need to go. From airport transportation to prom limo rental, Vegas Limousine Services can take care of every luxury car rental need you have. On Demand Sedan & Limousine is a top limo service in Las Vegas, NV. This family-owned and operated business has been in operation for over fifty years and are proud to continue their service to residents and the millions of visitors to their city each year. 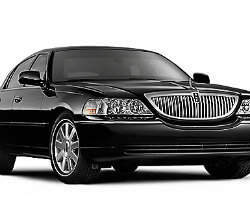 With professional drivers who are always well presented and on-time, clients can count on the very best experience at rates that are competitive with other town car and limo services. Check out their airport transportation service as well, and discover the difference that a chauffeur to meet you in the baggage claim area and help you with your luggage can make. You'll never take a taxi again! Those searching for a limo rental in Las Vegas, NV will want to check out one of the most popular limo services in town, Top Limo Las Vegas. Their staff and drivers have years of experience providing airport transportation or town car and limo services to residents and visitors alike, so they are very familiar with the city and all the best sights to see. Check out their luxury tours to local highlights like the Grand Canyon and Lake Mead for great daytrips that don't cost a fortune.